In her own words, comedian Gilda Radner looks back and reflects on her life and career. Weaving together recently discovered audiotapes, interviews with her friends (Lorne Michaels, Martin Short, Laraine Newman )rare home movies and diaries read by modern day comedians inspired by Gilda (Bill Hader, Melissa McCarthy, Amy Poehler, Maya Rudoplph, Cecily Strong). 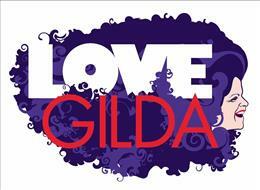 LOVE Gilda offers a unique window into the honest and whimsical world of a beloved performer whose greatest role was sharing her story. If you’d like to watch the trailer please contact Lisa at lisa@3facesfilms.com. Help us complete the film and donate through our fiscal sponsor NYWIFT, which is a nonprofit, 501c3 public charity, and contributions are tax-deductible to the extent provided by law.